Is the winter chill making you wish that you were away on vacation somewhere warm and relaxing, but time or money doesnt allow? Why not create a little stay-cation day at home just for you to revitalise your spirit! Snuggle up in a warm bed for an energizing delightful nights sleep…Magic! 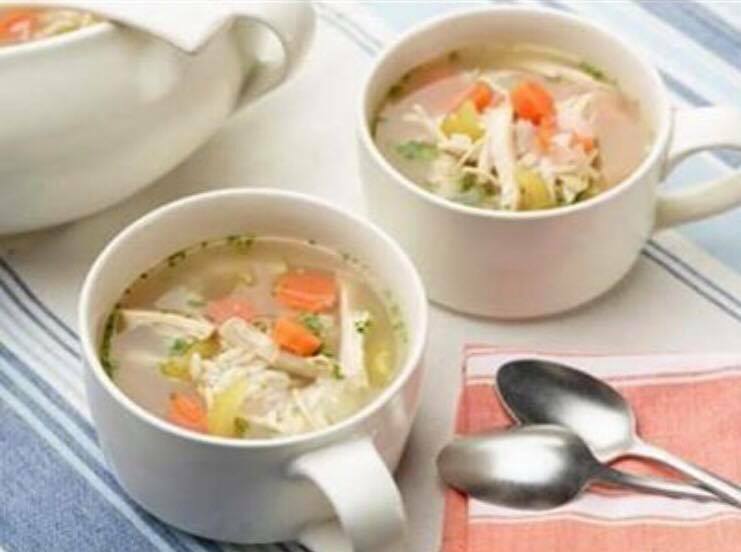 This chicken soup recipe is simple, satisfying and rich in glucosamine, gelatine, protein and a variety of glorious nutrients and minerals released from the bones and vegetables during cooking; to support a healthy whole body including your immune system, digestive tract and it dances on our taste buds … delicious. ☆ into a slow cooker layer in order chicken, garlic, onion, vegetables, salt and pepper. Why? Layering is important so as everything starts to cook the ingredients will all gently weave into and infuse each other developing a devine flavour. Too much water too soon will make it sloppy. You can always add more as it cooks if you wish. ☆ Slow cook on low for about 6 hours or high about 4hrs depending on your cooker power and whether you prefer your soup a little crunchy or smooth. ☆ Ladle into bowls or mugs; removing bones with tongs as you go. ☆ Hold bowl or mug, slowly inhale the delicious aromas whilst warming your hands, then … enjoy slowly! ☆☆ note: if you have excess liquid, please strain it and store in the fridge for future use as a broth to sip on; or add a few spoonfuls to other recipes for a delightful flavour and nutritional boost. ☆ you may choose to add a dash of vinegar to aid extraction of nutrients from bones but it is not essential.